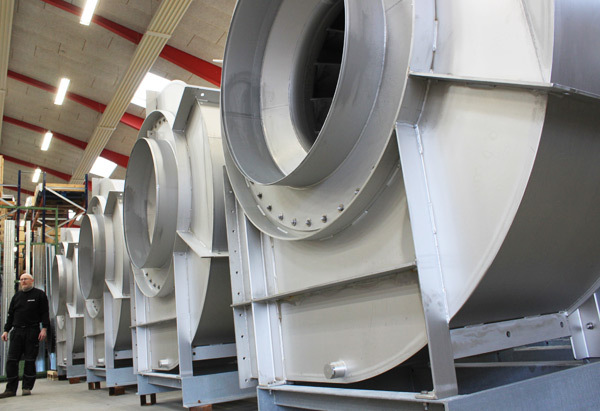 BarkerBille A/S has supplied four large industrial fans in stainless steel to a large fish feed production facility in Norway. When the plant is finished, it will be one of the largest and most efficient in the world. Fish feed is produced all over the world, but the smells from the production is generally a big problem. Out of consideration for the surrounding community, the goal of many companies within this industry is to eliminate these odors, and to do this, the fans from BarkerBille are essential. 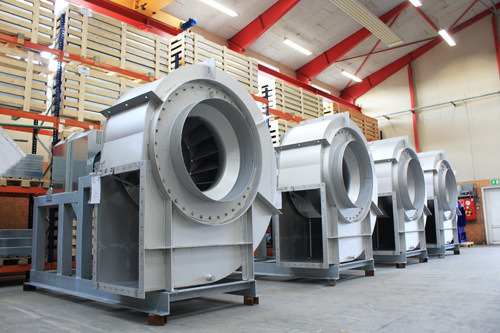 The fans have been finished at BarkerBille’s facilities in Holsted, Denmark. The fans that have just been shipped from BarkerBille’s production facilities in Denmark will be part of an extension of BioMar’s fish feed plant in Karmøy, Norway. 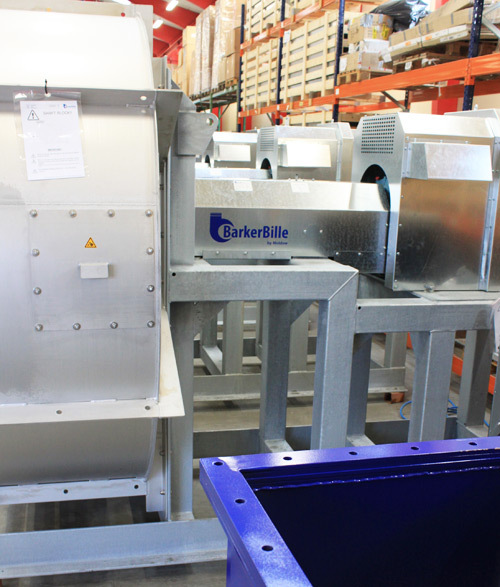 The BarkerBille fans transport the air to the scrubbers that efficiently and reliably eliminate the odor from the air. – Based on our experience, this delivery is an expression of a general trend in the market. BarkerBille supplies fans for many different industries besides the animal feed industry, and generally speaking, there is an increase in the demand for solutions with special focus on environmental issues, e.g. 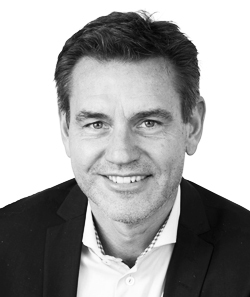 solutions to reduce air pollution, noise and odor and to improve energy efficiency, says Sales Manager at BarkerBille, Søren Olesen. The four fans each transport no less than 100,000 m³ air per hour at a pressure of 3,500 Pa, and they are equipped with 132 kW motors and coupling. The air is both dust-filled and humid, why the fans have been specially designed for this. All of them have been manufactured in stainless steel to provide protection against the corrosive costal environment, and the fans are also equipped with specially designed shields to protect the motor from the wear and tear of the weather. With this expansion, which Graintec A/S has been contracted to carry out, the plant’s capacity will be increased with at least 140,000 ton fish feed per year, and the new energy efficient production line will be ready for production during 2017, at which point it will be one of the largest fish feed production facilities in the world.